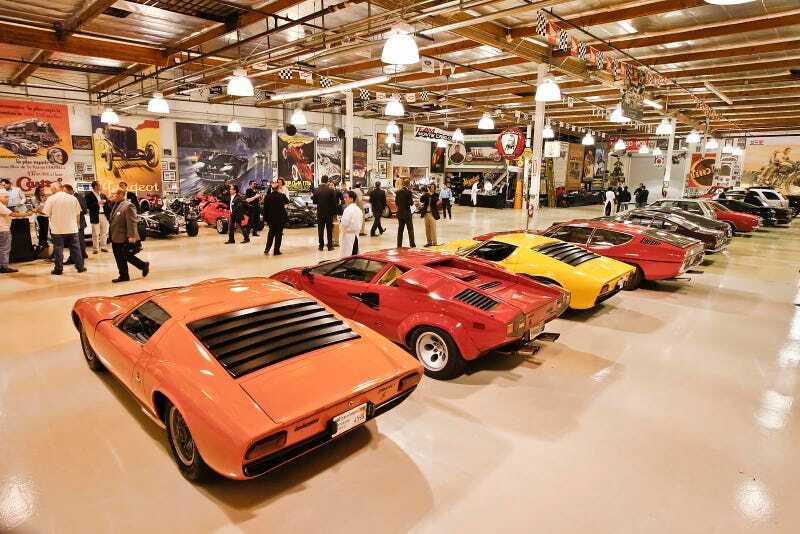 We were lucky enough to snag a tour of Jay Leno's Big Dog Garage during the LA Auto Show. Supercars galore? Sure, but you know what? We want the Tatra. And the motorcycles. And the...oh hell, we want it all. Ordinary, run-of-the-mill stuff like a McLaren F1. Frankly, it was amazing. The cars and bikes are exactly as we'd have them — running condition, nice without being too nice, and correctly restored (or at least sympathetically screwed with in the name of speed). The collection of art and assembled mobilia — the larger pieces were painted by NBC's set department — is simply astonishing. The restoration and service shop is complete enough to make your toes curl. And in the middle of it all is an ordinary, down-to-earth machine nut who just happens to be one of the most famous men in the world. The man may not be considered the king of late night anymore, but he sure knows how to collect cars.